School demand for connectivity is something that will increase exponentially rather than linearly according to the Broadband Imperative issued by the State Educational Technology Directors Association, or SETDA. “Connectivity is the ability to link to and communicate with other computer systems, electronic devices, software, or the Internet.” Connectivity allows individuals to use technologies such as video streaming, webinars, backchannels, mobile learning, online courses, and online assessments. The infrastructure needed to provide the connectivity necessary for successful use of these contemporary web technologies can be a challenge at many schools and districts, especially in rural locations. Since teacher professional learning often occurs within school and district facilities, the lack of internet connectivity can provide a barrier to successful use of many web-based technologies in professional learning situations. Website filtering can be a source of frustration for many educators. Web filters screen incoming Web pages to determine whether some or all of the material should be displayed according to a set of rules provided by the educational institution. Web filtering can become problematic when educators are engaging in professional learning at school or district sites, and educational resources such as YouTube or Twitter are blocked. Depending on the scope of the learning taking place, understanding what limitations are in place by the host IT department is important when planning professional learning that requires internet connectivity and access to specific websites. A Learning Management System (LMS) is a software application designed to deliver and manage online and blended courses providing Professional Learning Leaders with the ability to deliver content, encourage and monitor learner participation and assess learner performance. Learners are able to use the LMS to participate in discussions, do collaborative group work, communicate with the instructor and other learners, and submit course assignments. For the Professional Learning Leader, an LMS can also be used to create and build Professional Learning Networks as it provides a platform for collaborating and sharing instructional resources within a school site and district. Some Learning Management Systems, such as Schoology, also offer social features which allow users to make connections outside of a school domain. In this respect, the LMS allows the Professional Learning Network to become a global community. Many Learning Management System companies offer free versions of their software for educators. For example, Haiku allows educators to sign up for a free teacher account and receive five free class sites that could easily be leveraged for Flipped PD. A Professional Learning Network (sometimes referred to as Personal Learning Network) is a group of people with whom you engage and exchange information. There is an abundance of valuable resources on the web. In addition to traditional PD, more and more educators are turning to their PLN for their professional learning needs. Rather than being provided with PD in the traditional sense, educators are seeking out their own connections, both face to face and virtual, with networks of co-learners to share resources, ideas, information, upcoming events to improve their professional practice. Social media tools allow educators to extend their professional learning networks and become part of a global community of co-learners to network virtually and connect with people with similar interests around the world. Why participate in a Professional Learning Network? As demonstrated in the video above, a PLN is about making connections and building relationships with individuals with specific intent. The backbone of this network is people joining together and sharing varied perspectives on teaching strategies, educational issues, and technologies. This sharing of ideas, resources, collaboration and learning with and from people around the world are all benefits of the PLN. Watch the More Than Technology on the right to see the impact Professional Learning Networks has had in the educational community. 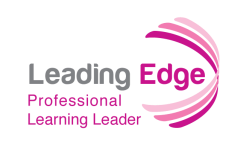 You have explored what a Professional Learning Network is and why it is advantageous to create your own. We will now explore a variety of social media tools that help educators connect virtually to help build their own Professional Learning Networks. Twitter is a free social networking service that allows registered members to broadcast short posts called tweets. Tweets, a brief message posted online may include hyperlinks, are limited to 140 characters. Individuals can broadcast tweets to 'followers' on Twitter. Individuals can also 'follow' others on Twitter and see their tweets. Tweets are shared with followers in the hope that the messages are interesting and useful to others. Tweet: Any message with 140 characters or less posted to Twitter. Hashtag: The # symbol, called a hashtag, is used to insert keywords to mark topics in a Tweet. It was created by Twitter users as a way to categorize messages. Here are some Popular Education Hashtags. Retweet: A reposted or forwarded Tweet. You might choose to retweet a tweet from someone you follow to share it with your followers. Read How to Decode a Tweet to learn additional Twitter terminology and to better understand the structure of Tweets. Other similar social networks that are leveraged by many other educators include Facebook, Google+, & Classroom 2.0. An educator chat (or EdChat) on Twitter is a weekly synchronous (real time) conversation between educators using Twitter. Any educator can join an EdChat to discuss and learn about current teaching trends, how to integrate technology, transform their teaching, and connect with inspiring educators worldwide. Education policy and education reform are also topics of conversation. Watch #EdChat: Join the Movement to learn more about EdChat, the first and still ongoing Twitter chat by and for educators. Getting started in a Twitter Educator Chat may feel challenging at first. How to Participate in a Twitter Chat describes the difference between following an individual and following a hashtag. Read Participating in #EdChat to learn both basic and more advanced ways to participate in EdChats. Most chats are held on a weekly basis (on a specific day of the week at a specific time) offering opportunities for regularly scheduled conversation with like-minded educators. In ​​20 Twitter Hashtags Every Teacher Should Know About, there are a list of hashtags for many different Twitter Educator Chats. As mentioned previously, social networking is used as a backchannel at conferences. It is not possible to physically attend multiple sessions during the same time slot at a conference. However, you may follow the conference hashtag to access the backchannel where you will likely find key presenter comments and resources for simultaneous conference sessions. Twitter & Google+ are being leveraged to share information and ideas and to participate in conversations about presentations and other conference-related events. Following the conference backchannel on these networks is also a great way to grow your Professional Learning Network as you will likely find colleagues you want to continue to follow. Blog is short for Web log. It is a publicly available online personal journal for an individual. Blogs reflect the interests, thoughts, expertise and personality of the author. Click here to watch a Blogs Explained video to learn more about blogs. Whether it be blogging about one’s own current practice, methods, goals, or reading other educator’s blogs for inspiration, blogs are a great way to build and extend one’s PLN. When educators write blog entries and comment on the entries of their peers, blogs become an elemental part of a professional learning community. For a more comprehensive list of Education Blogs, Teach 100 ranks and scores hundreds of education blogs. Read about the Top 50 Education Blogs Every Teacher and Educator Should Know About. In her Content Curation Primer, Beth Kanter defines content curation as “the process of sorting through the vast amounts of content on the web and presenting it in a meaningful and organized way around a specific theme”. Curation is more than simply accumulating found resources; curation includes exploring, analyzing and evaluating material before curating it. The curator may also choose to include a description of the resource and how it may be used. As a 21st Century Learning and Innovation Specialist, Nancy White has extensively studied curation in education. In her article “Understanding Content Curation” White’s goal was “to come up with a framework to define curating in the educational sense, in order to answer the question of what is the value-added of curating, vs. collecting information”. Additional information about curating learning resources is available on White’s scoop.it page. Organizing and distributing information in both online and flipped PD. Collecting and sharing professional reading materials with colleagues. Facilitating discussion around best practices. Keeping track of online research. Professional Learning Leaders can use curation tools to provide relevant and organized information to colleagues. With the ever growing number of content curation tools available, there is a wide variety from which to choose to manage or facilitate the presentation of resources. Using content curation tools such as Scoop.it, EduClipper, Pinterest, and ​​Tagboard, educators can easily integrate new content in a variety of ways, leading and contributing to professional learning networks. Many content curators subscribe to RSS (“Really Simple Syndication”) feeds to keep up with new content on the blogs and websites they follow. RSS feeds are a way to subscribe to a website or blog to receive notifications about updated content. When you ‘bookmark’ a website, you need to remember to visit the website on a regular basis to see what has been added. RSS feeds eliminate the need to constantly visit websites and blogs to check for new content as the updated information is sent to you. Consider the purpose of building a PLN. Address the following using a graphic organizer to diagram and explain the various parts of a PLN. In what ways do you gain inspiration from your PLN? How do you aggregate the various pieces of information you learn and collect from your PLN? In what way do you see the pieces of your PLN integrating with each other? How does your PLN apply to your professional learning goals?